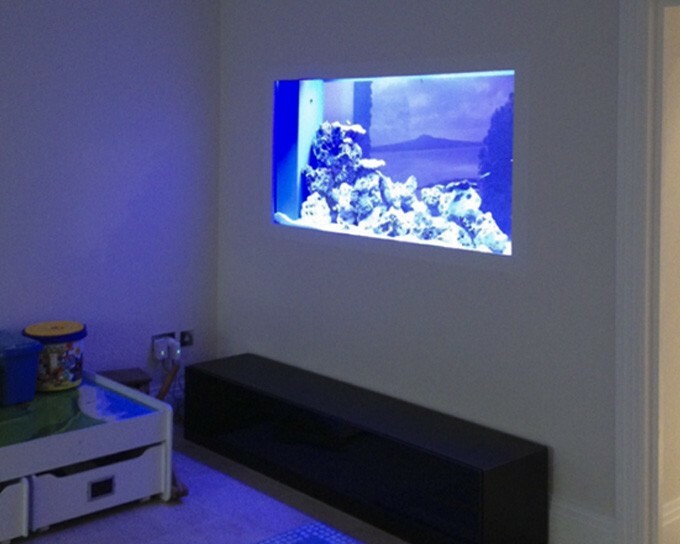 Our Richmond based client had their lounge split into two separate areas and we then installed the saltwater aquarium into the new partition wall. As he has an interest in soft corals our client specifically wanted a marine aquarium so that he can create a collection of these interesting invertebrates. The sump based filter system includes a large protein skimmer, phosphate reactor, UV steriliser and calcium reactor.